Dale Tiffany© adorable Red Dragonfly table lamp. This adorable accent lamp makes a wonderful addition to any home. Lamp measures 8 inches long by 8 inches wide and 11 inches tall. Dale Tiffany© Inc. utilizes only the highest quality art glass and captures the timelessness of America's classic designer. Beautiful Dale Tiffany Aldridge Table lamp. This lamp is about 26 inches tall and weighs around 20 pounds. Features an antique bronze finish and lovely floral stained glass shade. Will look fabulous in your home on on your office desk. Beautiful desk top weather station. This station is so nice looking is you can put it anywhere. What a fabulous gift idea. This desktop weather station is engravable. Measures 4.5 inches wide, 9 inches in length, and 2.85 inches in height. 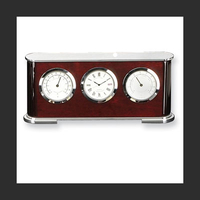 Station features a chrome finish, quartz movement and rosewood finish. Batteries are included. A very nice looking home accessory. 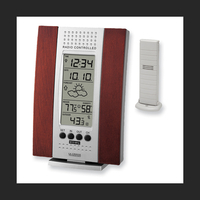 Cherry finish wireless forecast station. This attractive forecast station is an asset to any workspace or a nice accent in your home. Start your day right with the forecast. Station features a cherry finish and batteries are included. 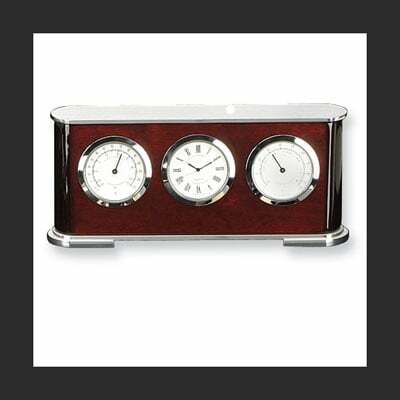 Desiree cherry finish quartz mantel clock. This handsome mantel clock is made by the Howard Miller company so you know it's quality. Nautical design wall clock. Brass porthole with a rope border accent clock. Looks great in your home or on your boat. 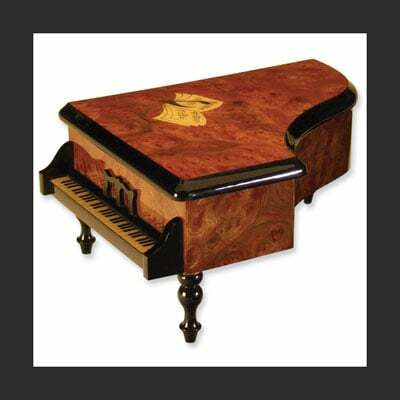 Italian piano shaped musical jewelry box is a delightful gift. Music book design sits on a polished burl grand piano and makes a grand impression.